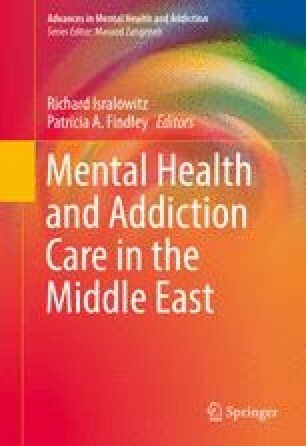 The conflict in the social and political environments over the years has impacted those in the Middle East, leading some to addiction and mental health issues. The work over the last 20 years has brought the field to a better, but not complete, understanding of the causes of these two impacts. Underpinned in the theory of the social construction of reality, readers of this book will see how collective thought can lead to deeply rooted misunderstandings leading to violence between cultures; as well as work with individuals, groups, youth, adults and older persons. We have also explored the concepts of prevention to address psychological first aid as a way to mitigate conflict as a secondary intervention. At the primary intervention level, we address ways to bolster the community overall; in the end, a shared reality of cooperation is truly the one hope to reduce the stress and conflict in the Middle East.